We all know beauty products almost never go on sale. 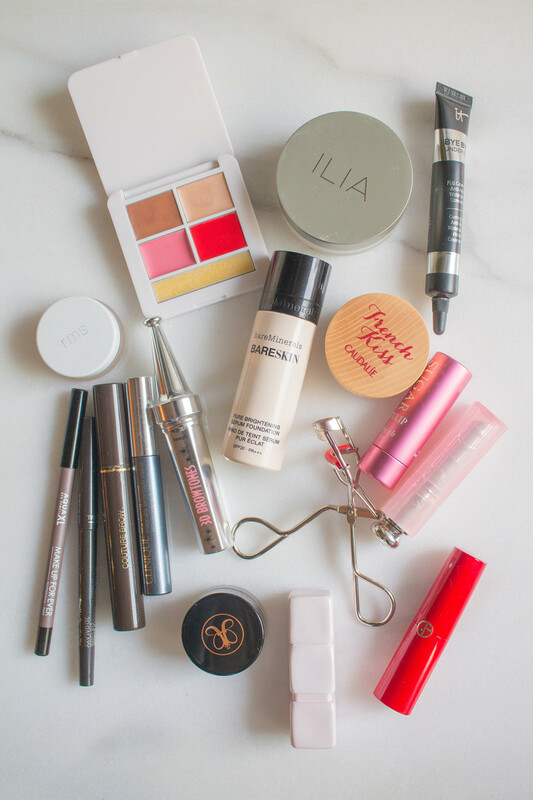 That&apos;s why Sephora&apos;s biannual VIB Rouge events are such a big deal—EVERYTHING in the store is marked down! While there was a 10 to 15 percent savings at the spring sale, there&apos;s an even bigger discount this time: 15 to 20 percent off. 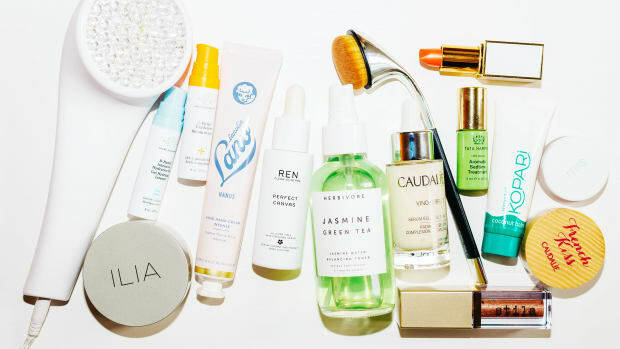 So now is the time to pick up those pricier beauty investments that have been on your wish list. 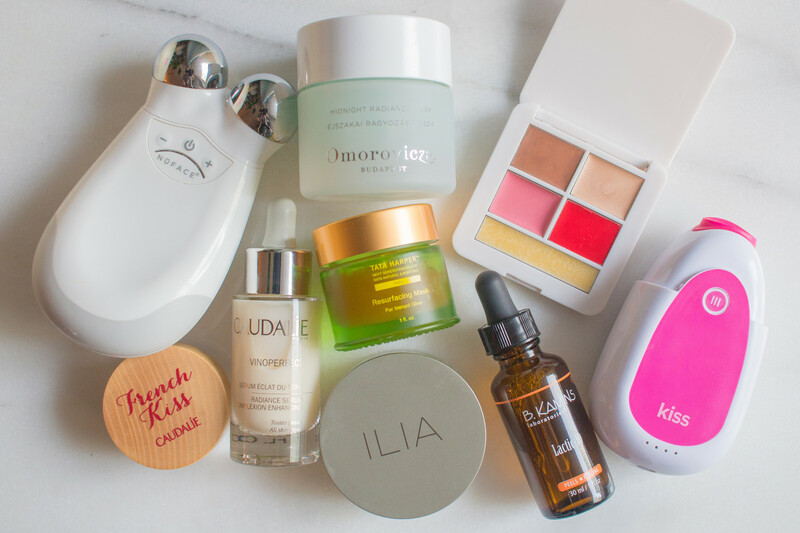 A few of the best beauty products to buy at the Sephora VIB Rouge Sale. You must be a VIB or Rouge member. To qualify for Rouge, you need to have spent C$1,000 / US$1,000 in one calendar year. November 3-6: Rouge members get 20 percent off in store and online with the coupon code 20FORROUGE. November 10-15: Rouge and VIB members get 20 percent off in store and online with the coupon code 20FORROUGE. 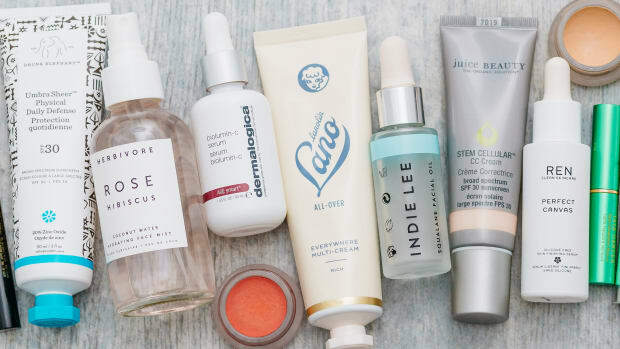 Beauty Insiders get 15 percent off in store and online with the coupon code INSIDER15. Online: Sephora.com (US and Canada). Alright, on to my shopping suggestions! 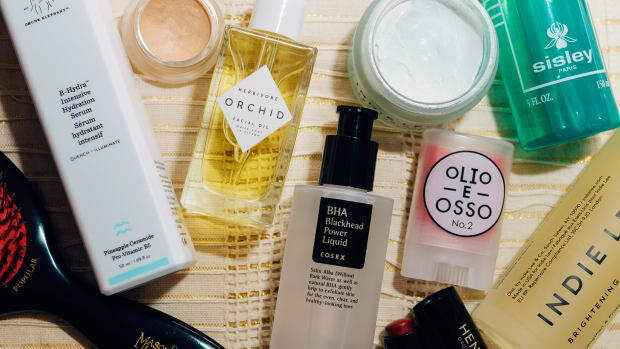 The best skincare tools at Sephora. PMD Personal Microderm: This device replicates a professional microdermabrasion treatment at home. It leaves your skin super-smooth, and is a fantastic alternative to acids. I use mine once a week or so for a more thorough exfoliation. NuFace Trinity Facial Toning Device: If you want something that actually works to treat lines and sagging, forget creams and get this microcurrent device instead! Treatments are fast and painless, and you can see the lifting right away (with longer-lasting results over time). If you use Botox, it will also help to counteract the muscle atrophy that occurs. If you ask me, this is one of the most important tools to have in your anti-aging arsenal! PS: Don&apos;t forget to stock up on Gel Primer, too! PMD Kiss Lip Plumping System: For the look of naturally fuller lips, I can&apos;t say enough good things about this plumping gadget! It uses a painless pulsating vacuum technology to increase volume, and the more you use it, the longer results last. See my review here. Foreo Luna 2: Rather than the Clarisonic, I recommend this cleansing brush because the silicone bristles are much gentler and won&apos;t collect nasty bacteria (you can even leave it in the shower). It&apos;s just as effective, and removes 99.5 percent of dirt and oil from your pores—which will help your other products to absorb better! 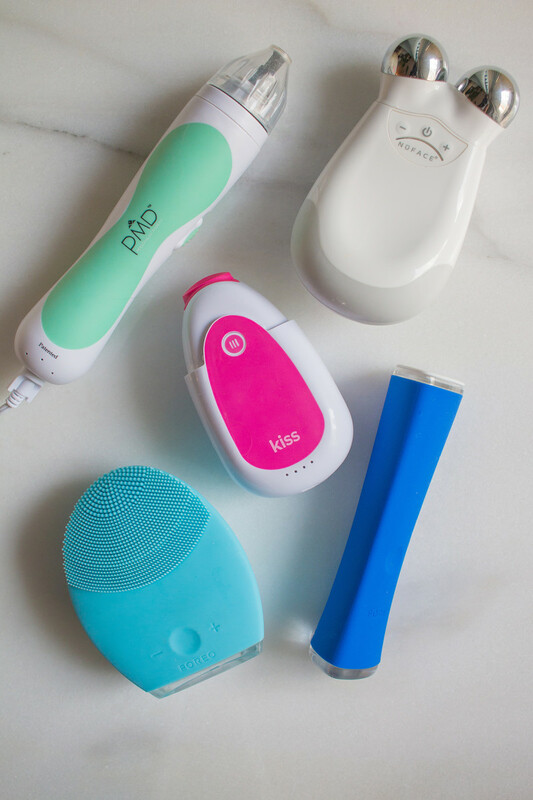 Foreo Espada Acne-Clearing Blue Light Pen: With this device, you can treat blemishes in 30 seconds flat. The blue light kills bacteria and is a great alternative to drying topicals like benzoyl peroxide (which often makes pimples look worse). See my review here. iluminage Skin Rejuvenating Eye Mask (not pictured): Why wear a regular eye mask to bed when you could wear this one—which doubles as an anti-aging treatment?! The secret is the copper that&apos;s woven into the fabric. See my review here. I also recommend the Pillowcase! 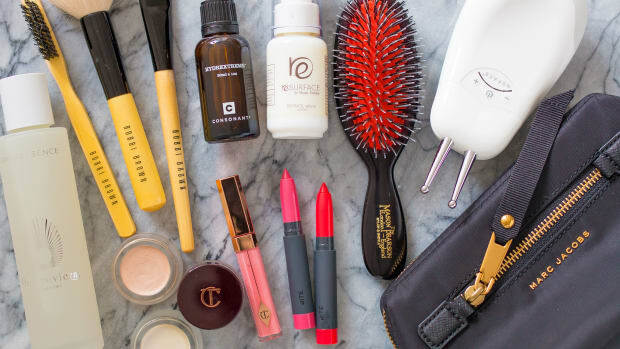 The best hair tools at Sephora. 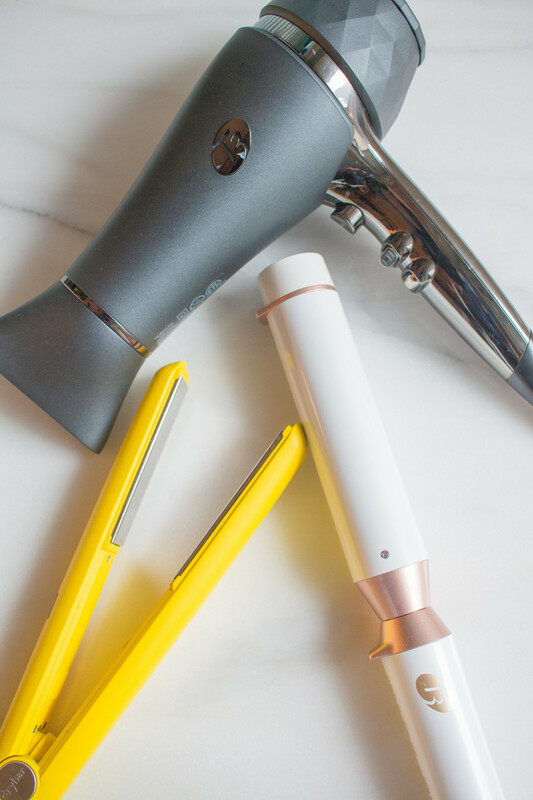 T3 Whirl Trio Interchangeable Styling Wand: My favourite curling iron—which is really three different wands in one! You get one tapered and two straight barrels, in varying widths, so it&apos;s amazing value. Drybar The Tress Press Digital Styling Iron: This sleek yellow guy is the best flat iron I&apos;ve EVER used. It heats up fast to the perfect temperature, never leaves dents in your hair, and shuts off automatically when you&apos;re done. 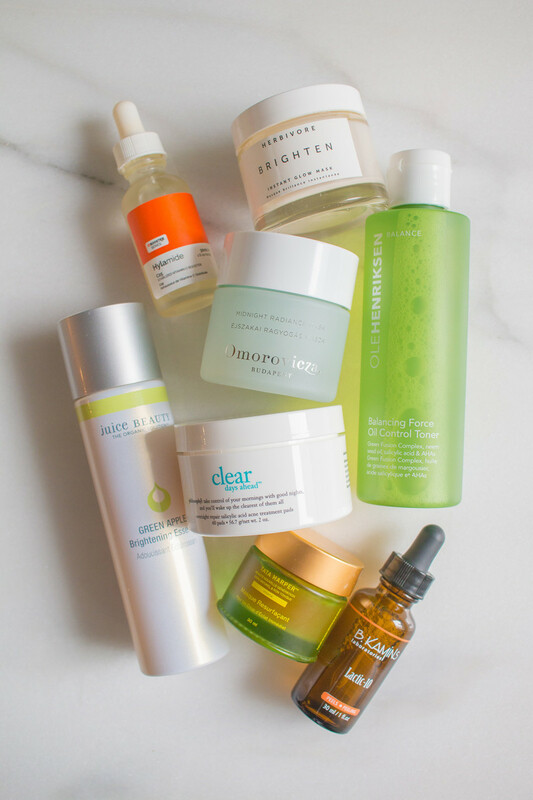 The best cleansers at Sephora. Caudalie Instant Foaming Cleanser: This is an amazing foamy cleanser that is sulfate-free and gentle enough for all skin types. Been using this for years! Tarte Deep Dive Cleansing Gel: If you prefer a gel texture, this is a good one; it&apos;s non-drying and free of sulfates and artificial fragrance. See my review here. Darphin Azahar Cleansing Micellar Water: I&apos;ve been on the lookout for more natural alternatives to Bioderma, and this fits the bill! Surprisingly, it is 94 percent natural and can be used to remove makeup or in place of a regular face wash.
Caudalie Micellar Cleansing Water: Another more natural micellar, made with healthier ingredients like grape water and glycerin. The pump format is really convenient. Consonant Natural Foaming Face Wash: I love this face wash because it&apos;s 100 percent natural and made by one of my favourite Canadian skincare companies! It&apos;s currently part of my fall skincare routine. 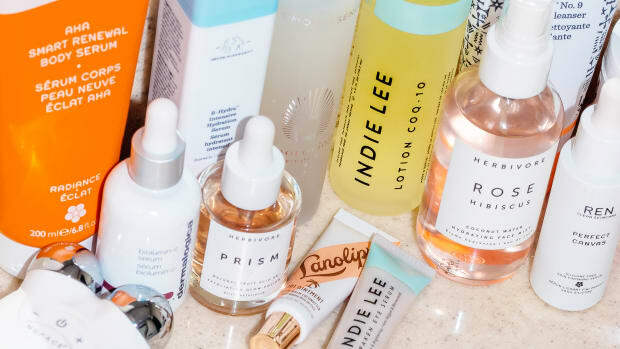 The best mists and moisturizers at Sephora. 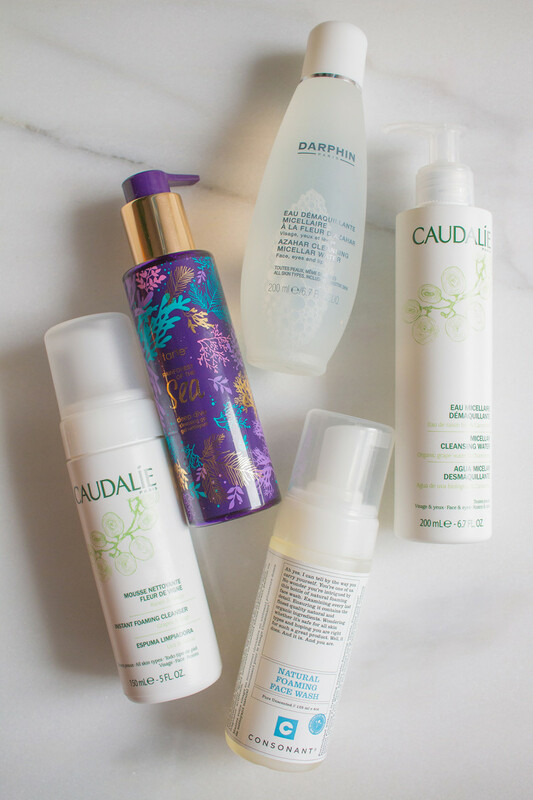 Caudalie Grape Water: Rather than their alcohol-based Beauty Elixir, I use this 98 percent grape water as my face mist (the other two percent is grape juice). It&apos;s fantastic for calming the skin, adding hydration and setting makeup. See my review here. Caudalie Vinoperfect Radiance Serum: I&apos;m often asked if there are any alternatives to my beloved HydrExtreme hydrating serum, which is so far only available in Canada. This would be a good choice; it&apos;s a light, milky serum with brightening ingredients that are suitable for all skin types. Omorovicza Omoressence (not pictured): I think this would be another nice choice for lightweight hydration. Looking to pick this up myself during the sale! L&apos;Occitane 100 Percent Pure Shea Butter: I use this as a lip balm, but if you get the larger size it also makes an excellent body moisturizer. Shea butter is one of the safest and most stable oils, and it hydrates really well—with none of the irritation you get from so many lip balms! Biossance 100% Squalane Oil: It&apos;s no secret that I am obsessed with squalane. In my opinion, it&apos;s the best oil you can put on your face, hands down! If you use a lot of it, you might like that this one has a pump dispenser. (Unfortunately my other squalane pick, the Peter Thomas Roth Oilless Oil 100% Purified Squalane, is no longer carried for some reason!) Read more about squalane benefits here and see my reviews here and here. Tata Harper Hydrating Floral Essence: This product is more than just a face mist in a pretty green glass bottle—it also doubles as a moisturizing toner! It contains hyaluronic acid, aloe vera and tons of plant extracts. Juice Beauty SPF 30 Oil-Free Moisturizer: This is the best sunscreen in the entire store. It&apos;s 20 percent zinc oxide, free of silicones and unstable oils, and non-whitening. See my reviews here and here. 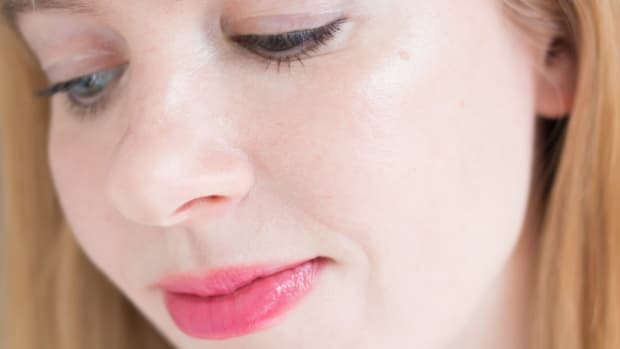 Biossance Squalane + Peptide Eye Gel: If you&apos;re looking for a lightweight eye treatment that can be worn both at night and during the day, under makeup, this is my pick. It&apos;s packed with squalane and niacinamide, two of the best skincare ingredients. Kopari Coconut Sheer Oil: Besides squalane, another awesome oil choice is this lightweight coconut and shea butter blend. Contrary to what you might think, it doesn&apos;t feel heavy at all and absorbs fast (like a dry oil). See my review here. Consonant HydrExtreme: Now is the time to invest in this all-natural serum. There&apos;s nothing cleaner on the market (it only contains two ingredients) and it&apos;s actually more effective than hyaluronic acid. See my review here. LXMI Crème du Nil Pore Refining Moisture Veil: If you need a new moisturizing cream, I urge you to try this one! It&apos;s the best one I&apos;ve ever come across, due to the natural, stable ingredients and incredible texture. Plus no silicones at all, which is so rare! It&apos;s perfect for all types of skin. See my review here. LXMI Pure Nilotica Melt Nourishing Balm-to-Oil: This is a 100 percent shea butter of the highest quality. (Trust me, there are a lot of variations in shea butter out there!) This works best as an overnight treatment for sealing in moisture, and repairing dry or reactive skin. Skinny & Co. Skinny Coconut Oil (not pictured): Pure coconut oil is also a great face oil choice, and this one comes in a travel-friendly jar. It&apos;s raw-crafted without heat processing, so all the beneficial lauric acid is intact. 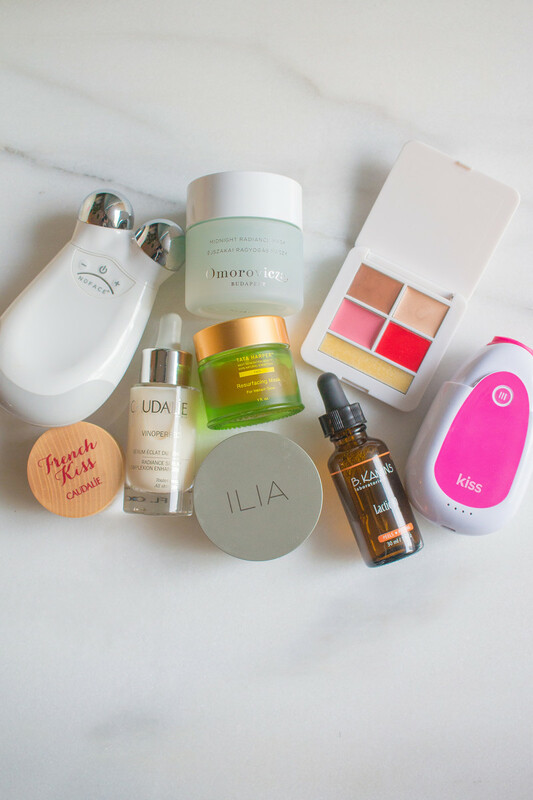 The best masks and treatments at Sephora. DECIEM Hylamide Booster C25: The best antioxidant serum in the store is in this little bottle. Unlike the majority of vitamin C treatments, it&apos;s completely stabilized, so you don&apos;t have to worry about it oxidizing and turning brown. Plus, you get a whopping 25 percent vitamin C. See my review here. Herbivore Brighten Pineapple Enzyme + Gemstone Instant Glow Mask: This mask keeps selling out, and for good reason! It&apos;s one of the few enzyme-based exfoliating treatments, with papaya and pineapple extracts, rice powder and gemstone powder, all in an aloe vera base. See my review here. Herbivore Blue Tansy AHA + BHA Resurfacing Clarity Mask (not pictured): I&apos;m planning to add this other Herbivore mask to my collection. Its claim to fame is the blue tansy oil, which is naturally high in azulene to reduce inflammation. It also has fruit enzymes and willow bark. Herbivore Jasmine Green Tea Balancing Toner (not pictured): And finally, the newest product from Herbivore is this blemish-fighting toner infused with witch hazel and willow bark. If your skin is too sensitive for BHAs, this would be an ideal gentle exfoliator! Omorovicza Midnight Radiance Mask: This is a brand new, salicylic acid-based mask that you&apos;re meant to wear overnight. So it&apos;s a way to get your BHA on, along with glycerin, yeast extract and hyaluronic acid. 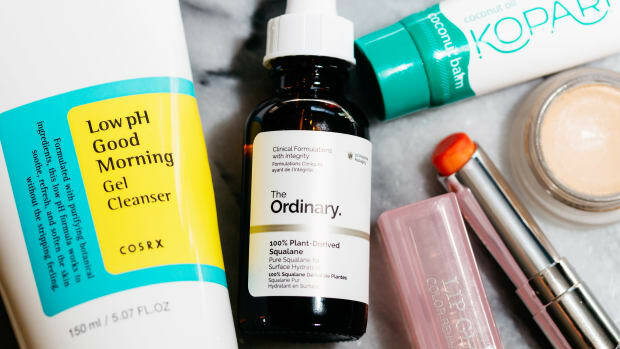 Mark my words, I think we&apos;re finally starting to see salicylic acid being used for more than just acne! Read more about salicylic acid benefits here and see my review here. Ole Henriksen Balancing Force Oil Control Toner: If you&apos;re looking for something similar to cult-favourite Lotion P50, I think this acid toner would be a good choice. It&apos;s got not just lactic but also salicylic and glycolic acids. However, it is non-stripping and can be used on dry skin, oily skin, and every type in between. See my review here. Skin Inc. Vitamin B3+ Niacinamide Serum (not pictured): I&apos;ve been on the lookout for niacinamide treatments (since not everyone loves The Ordinary&apos;s). This one sounds ideal, since it&apos;s silicone-free and non-sticky! Juice Beauty Green Apple Brightening Essence: This is such a unique skin treatment—it gives you lightweight hydration, similar to a serum, while it also treats dark spots and large pores. Most essences I&apos;ve seen are pretty chemical, so this is one of the best natural choices. See my review here. Tata Harper Resurfacing Mask: This is yet another brightening and exfoliating mask, with willow bark (BHA), enzymes and pink clay in aloe vera. It&apos;s gentle enough that you could use this on a daily basis to keep your skin bright, smooth and breakout-free! B. Kamins Lactic-10: If you&apos;re after a lactic acid exfoliator (and can&apos;t get P50), this is the product I recommend. It&apos;s got a weightless, watery texture and a very minimal ingredients list. I think even sensitive skin should be okay with it. See my review here. NIOD Copper Amino Isolate Serum 1.00% (not pictured): As an anti-aging treatment, I think copper peptides are just as effective as retinoids—if not more! This is the only one in the store, and is said to do it all, from treating large pores to dullness to fine lines and rough texture. 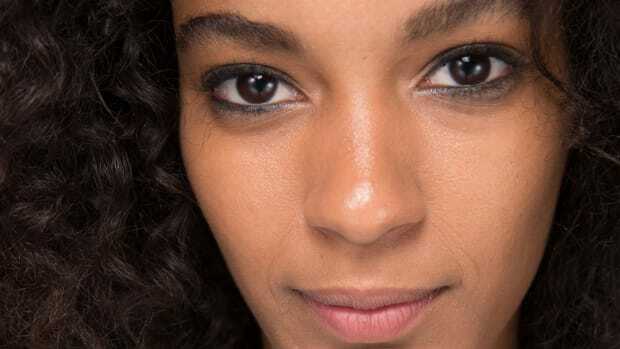 The best makeup at Sephora. RMS Beauty Signature Set: If you&apos;re new to RMS Beauty (my all-time favourite makeup brand! ), this palette is a nice way to try a bunch of things at once. It comes in two shades, Pop and Mod. There&apos;s also a Luminizer version; see my review here. ILIA Soft Focus Finishing Powder: Run, do not walk, to get this translucent powder! It&apos;s better than any other I&apos;ve tried before (including RMS). The texture has less of a "slip," and I find it more oil-absorbent, yet natural-looking. 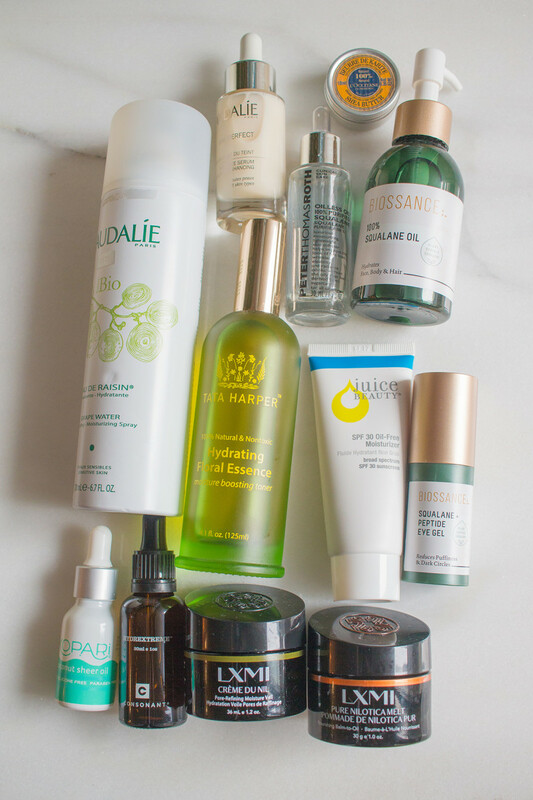 More about it in my fall skincare routine. It Cosmetics Bye Bye Under Eye Full Coverage Anti-Aging Waterproof Concealer: This is one of the best concealers on the market for spot coverage. The tiniest dab gives you complete coverage, and it really stays put (it&apos;s waterproof!). It would also be a good solution for dark circles. See my review here. Make Up For Ever Full Cover Concealer (not pictured): My other suggestion for pinpoint concealing is this product, which I&apos;ve been using for many, many years. It comes in a huge range of shades, and once it&apos;s on, does not budge—no setting powder required. RMS Beauty "Un" Cover-Up: This is the ultimate healthy skin makeup that I wear every single day! You can use this like a concealer, or you can sheer it out as an all-over foundation. There is not a cleaner product on the market. See my review and tutorial here. Bare Minerals bareSkin Pure Brightening Serum Foundation: If you prefer a liquid foundation format, this my other skin makeup recommendation. It&apos;s one of the only silicone-free formulas I&apos;ve seen, and gives you lightweight buildable coverage. Omorovicza Mineral Touch (not pictured): This is said to be a cleaner, silicone-free alternative to the cult-favourite Clé de Peau Concealer. I&apos;m going to buy one to try, since I&apos;d love to have something to recommend besides "Un" Cover-Up! Caudalie French Kiss Tinted Lip Balm: This lovely balm comes in three shades, and gives you a hint of colour in a weightless (non-goopy) texture. See my review here. Fresh Sugar Lip Treatment: When I want the look of a bright lipstick with the hydration of a balm, I always reach for one of these. My favourite shade is the hot pink, Tulip. Dior Addict Lip Glow Color Reviver Balm: But this one&apos;s my favourite balm of all—it comes in four shade, and each reacts with your skin chemistry to create a unique tone. I love Coral. Make Up For Ever Aqua XL Eye Pencil Waterproof Eyeliner: I won&apos;t wear eyeliner unless it&apos;s waterproof, and this line is my new go-to, especially the shade S-50, a taupe. See my review here. Smashbox Always Sharp Waterproof Kôhl Eyeliner: Another waterproof liner I love, but with a handy self-sharpening cap. I always use the Raven shade to line my upper waterlines, for a thicker lash look. Yves Saint Laurent Couture Brow: Ever noticed how models&apos; brows have these wonderful fans at the inner corners? This brow mascara is my best discovery for creating them. See my review here. Benefit 3D BROWtones Instant Color Highlights: For control and a subtle tint, I like to perfect my brows with this product. (It&apos;s a pretty good substitute for Brow Drama, which is always out of stock!) The "highlights" are nothing crazy at all, and it gives great hold without leaving your brows feeling crispy. Clinique Lash Power Mascara Long-Wearing Formula: I always stick with tubing mascaras, which don&apos;t smudge. This is one of my go-tos for a soft lash look. Lancôme Monsieur Big Mascara (not pictured): If you just want a regular (non-tubing) mascara, this one is BY FAR the best new launch lately. The brush is perfect, and you get gorgeous volumized lashes in seconds. See my review here. Kevin Aucoin The Eyelash Curler: I&apos;ve officially switched allegiance from the Shu Uemura Curler to this one. For me, it curls more evenly, with no pinching, and the results last! Guerlain KissKiss Roselip: There&apos;s just something about a luxury lipstick, am I right? This one&apos;s actually a tinted balm, and comes in the most beautiful white lacquered case. Guerlain makeup is so underrated, in my opinion. Giorgio Armani Ecstasy Shine Lipstick: This is the newest splurge-worthy lipstick on the market, in a huge range of shades. Inside the red tube is vibrant colour and glossy shine. See my review here. 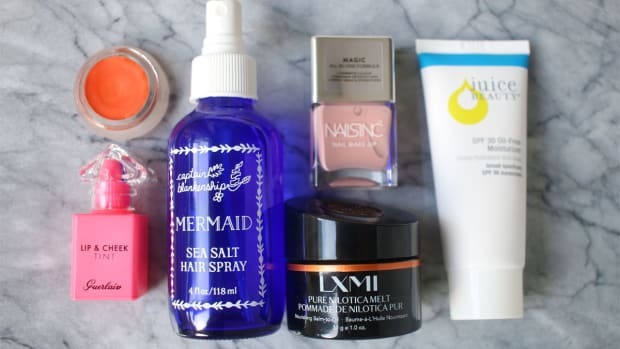 The best hair and body care at Sephora. Captain Blankenship Mermaid Dry Shampoo: I stopped using mainstream dry shampoos because they contain ingredients like alcohol and propane, which I don&apos;t want on my scalp! This is one I&apos;d suggest instead—it&apos;s all-natural. Briogeo Scalp Revival Charcoal + Biotin Dry Shampoo (not pictured): This is another dry shampoo with healthy ingredients, which I&apos;m planning to order. Briogeo Blossom & Bloom Ginseng + Biotin Volumizing Shampoo (not pictured): And I&apos;m also going to give this natural volumizing shampoo a try! The reviews are very impressive, and it&apos;s sulfate-free. Kopari Coconut Balm: This coconut oil-based balm is surprisingly non-greasy and can be used as a hand cream, body moisturizer, cuticle cream or foot cream. See my review here. Captain Blankenship Mermaid Sea Salt Hairspray: Finally, there&apos;s a natural alternative to Bumble and bumble&apos;s famous Surf Spray! I use this to get a beachy texture that doesn&apos;t weigh my hair down. Herbivore Sea Mist Coconut + Sea Salt Beach Wave Hair Mist: This is a similar texturizing spray, also made with super-clean ingredients. I find this one a little more hydrating. Kopari Coconut Body Glow: If you love the look of golden shimmer—whether on your shoulders and décolletage, or even your cheeks—this is the product for you. It doubles as a coconut-based moisturizer. See my review here. Kopari Coconut Melt: I love this big tub of 100 percent virgin coconut oil for just about everything in my beauty routine. I use it to remove makeup, oil cleanse, and moisturize from head to toe. See my review here. 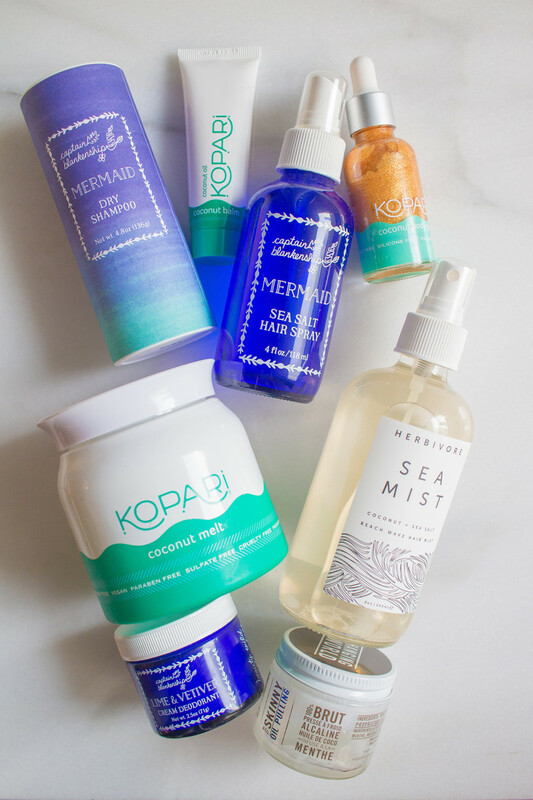 Kopari Coconut Crush Scrub (not pictured): Yes, I&apos;m really into Kopari right now! This is a body scrub with a fantastic ingredients list and a milky coconut scent. Captain Blankenship Lime & Vetiver Cream Deodorant: Natural deodorants DO work—you just need to use one like this, which contains coconut oil, baking soda and arrowroot powder to fight bacteria and keep you dry. Plus, the jar could not be prettier! Skinny & Co. Oil Pull: If you&apos;re interested in oil pulling—which kills bacteria, freshens your breath and whitens your teeth!—you should try this. It&apos;s a minty coconut oil that tastes great and is far healthier than the usual seed oils. Are you planning to shop the Sephora sale?